The film industry's business model (sequels! adaptations! sequels of adaptations!) might be an artistic disgrace. But it's a fine business model. It was, you might have heard, a summer of discontent for movie studios, as audiences endured (or, rather, ignored) flop after flop, like R.I.P.D., Turbo, The Lone Ranger, and White House Down. Does this represent the death of something more than Ryan Reynold's leading-man dreams? 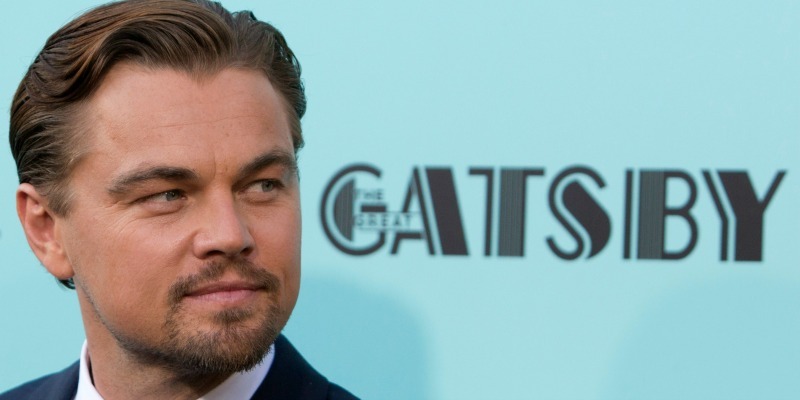 Is it the death of the entire modern Hollywood business model? "The summer-blockbuster strategy itself may have tanked," Catherine Rampell writes in the New York Times Magazine. 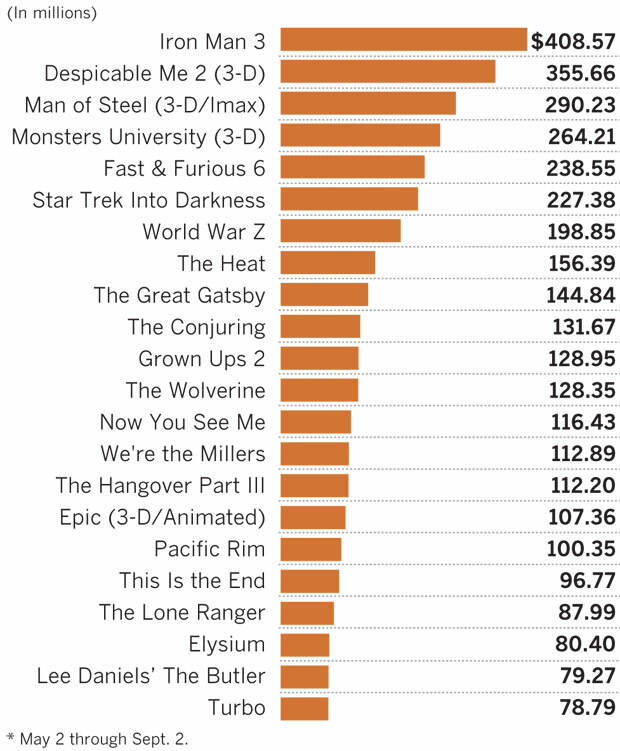 But Hollywood's summer blockbuster strategy -- essentially: adapt books, make sequels -- didn't really "tank." In fact, it was the biggest summer in history, in nominal dollars. ... and the top-grossing films went sequel, sequel, adaptation/sequel, sequel, sequel, sequel, adaptation of a recent best-selling novel. That, folks, is a business model. Of course, there were some $100 million surprises (The Heat, We're the Millers) but that's just how the strategy is supposed to work. The dependable sequel-adaptation two-step subsidizes efforts to produce original ventures that might break $100 million. Rampell makes a deeper critique: That the summer season has become an overcrowded bazaar of crap, a victim of its own success and excess. But as a business, the invention of the summer "movie season" has been a thrilling success. Americans barely go to the movies anymore. The typical adult sees one movie every two months. Sixty years ago, we saw five-times more. The collapse of movie audiences, which far pre-dates Jaws and summer blockbusters, requires studios to heavily market their films since Americans' default position on movies these days is not to see them. Studios have cannily created a summer of tent-pole features to focus audience attention on a handful of months when we're taught to expect to go to the movies. Iron Man III would probably make a billion dollars if it were released on a Tuesday morning in March. But lesser films might benefit from debuting in a season when audiences are predisposed to going to the movies. Making films, as Rampell points out, is a risky business. It's hard to know what 100 million people want to see each July. The sequel/adaptation strategy assumes that people want to see stories they already are familiar with. The fact that this strategy isn't risk-free (see: The Hangover Part III) doesn't change the fact that it's been hugely risk-mitigating. If anything, the failure of R.I.P.D. and Lone Ranger -- adaptations of more esoteric fare than Batman or Star Trek -- might only make movie studios double down on their previous plans to make movies from only the most familiar stories. Forget Batman vs. Superman, or Hunger Games II. Get ready for Star Wars XXVII.